Use the keywords of the job description to shape your experience in the summary with strong and specific word choices. Look for yourself in the job description, and match those skills to your concrete professional strengths and experiences. If you meet the criteria for number of years of work experience mentioned in the job description, you should add that information in the summary. It makes the resume easy to screen for the hiring manager and they can focus more on your other relevant skills & experience. IT Project Manager with 12 years of experience. Demonstrated excellence in delivering multiple large scale global projects ($1.5MM – $3.0MM) on time and within sanctioned budgets. Projects include large IT infrastructure implementations, multiple site migrations, application upgrades and security system implementations. 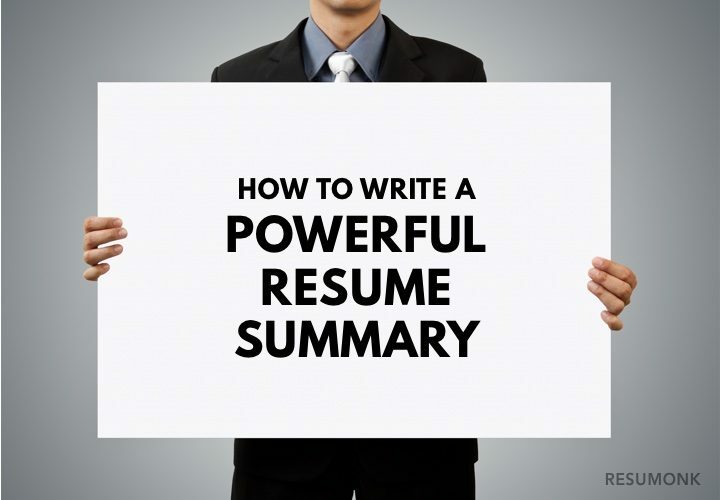 Try to keep your resume summary concise and clear, ideally not using more than three sentences. That’s the goal to aim for in length, since hiring managers are only going to spend seconds scanning each resume. Five years of experience in hospitality and corporate reception, utilizing polished front desk skills and top-notch customer support to provide exceptional customer care and administrative services. Professional CPA with over six years of experience managing accounts following accounting best practices to ensure healthy financial performance of the firm. Passionate early childhood educator with a strong background in cultivating young children’s learning through emergent curriculum. Highly skilled in fostering the development of the child, and forming meaningful relationships with children & families. What are your top three skills? e.g. Do you possess an ability to manage complicated projects? Have you exceeded sales goals? Do you have excellent organization skills? What successes have you seen due to them? Make a list of these, and interweave them with the major skill requirements the employer is looking to fill. Research the vital skills of your target industry and think from the hiring manager’s perspective. Target-driven sales professional with a proven track record of growing revenue & profit. Over 10 years of progressive experience in direct sales, channel sales and business development in the highly competitive segments of the consumer electronics industry. It highlights the skills and the domain experience at the same time. 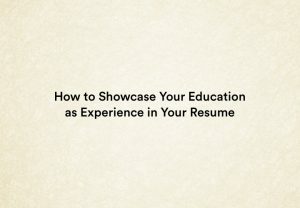 Just because you’re a new graduate doesn’t mean you don’t have experience. Traits and skills that you’ve developed are likely transferable to the jobs you’re applying to at the start of your career, and the same goes for those who are changing careers. New graduate with a BA in business management. Internship experience with architectural firm in project management. Noted for skills in meeting deadlines, time management, accurate research and effective problem-solving. Compassionate, reliable, certified nursing assistant with 7 years of experience in caring for disabled, elderly and memory impaired individuals. Excellent client care with great interpersonal communication skills. Flexible work hours, available on weekends and holidays as well. On similar lines, check out this example of resume summary for a paralegal. Paralegal with over four years of experience in legal firms working with attorneys and clients on sensitive cases regarding disability, foreclosure, family and juvenile and civil rights. Sociable and empathetic with a focus on the bigger picture, highly efficient with client and professional relationship building and communication. Experience working with multiple attorneys and their clients, with bilingual proficiency in Spanish. The position of paralegal is very client-facing, and this applicant does a great job of balancing both professional and personal sides to the summary’s advantage. Detail-oriented CAD technician, BTEC-qualified certification and recognized skills in engineering drawing in 2D and 3D, developing designs collaboratively on teams and as a freelancer for a diverse range of clients for the last 15 years. 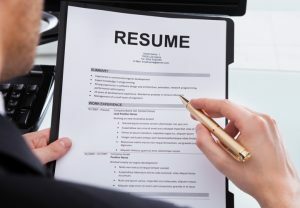 Similarly, this also works well for choosing “15 years of experience” over “fifteen years of experience.” The variation of sentence structure and word choices helps place the focus on important elements of your resume summary. This makes it easier for the hiring manager to skim down to those critical details in your resume. Senior Software Engineer with 6+ years of experience in creating scalable web applications using Java. Proficient with Hadoop & Python. Algorithms & Machine Learning Enthusiast. 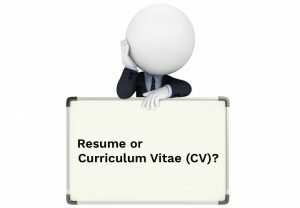 A powerful resume summary comes with patience and a hawk eye. Look over your resume with the gaze of a hiring manager who’s had three cups of coffee and seen a hundred resumes in one day. What stands out to you? Does it address the company’s needs, and showcases the experience and strengths you bring to the table? Great! Your resume summary has just landed you in the interview pile. Thanks for sharing these point with us. Great blog.